Whipped cream needs to be whisked to the right consistency. The Kitchen Vocabulary Word of the Week is Whisking. To whisk means to beat or stir in a rapid movement. The name of the tool that you use for whisking is also called a whisk. You may use a whisk tool to whisk your scrambled eggs in the morning, but the whisking in this recipe will help to create a delicious and healthy topping to go with your favorite fruit salad. Place your whisk and large mixing bowl in the fridge for 15 minutes before beginning. Don't take the whipping cream out of the fridge until you're ready to start. Pour heavy whipping cream into a liquid measuring cup until it reaches the 2 cup line. Pour 2 cups of the whipping cream into a large mixing bowl. 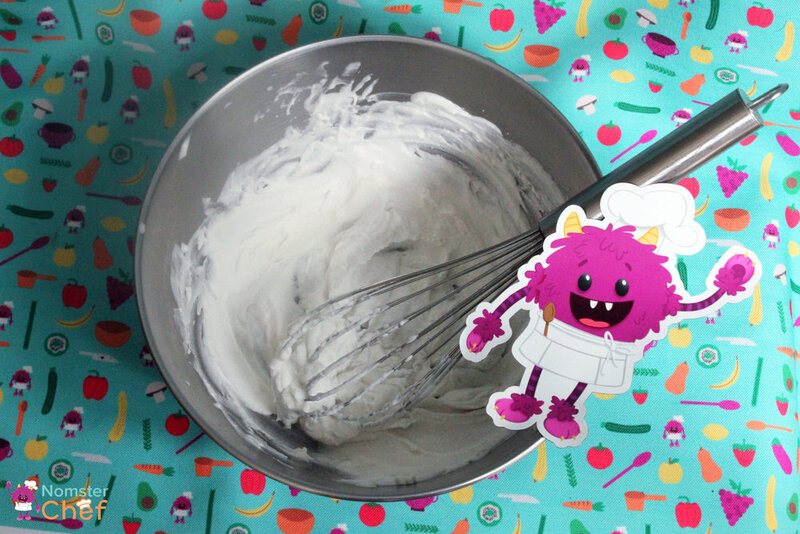 In the large mixing bowl, take the whisk and begin whisking the cream until it gets to a light and fluffy consistency. Keep going! Whisking whipped cream can take a lot of power! Add 1 ½ teaspoons of vanilla extract to add an additional flavor. Taste the whipped cream. Does it need to be sweeter? Add 2-3 Tablespoons of honey. Stop between each Tablespoon to taste. You can decide the amount of honey that goes into the recipe. Enjoy dipping with your favorite fruit. Nom with friends! 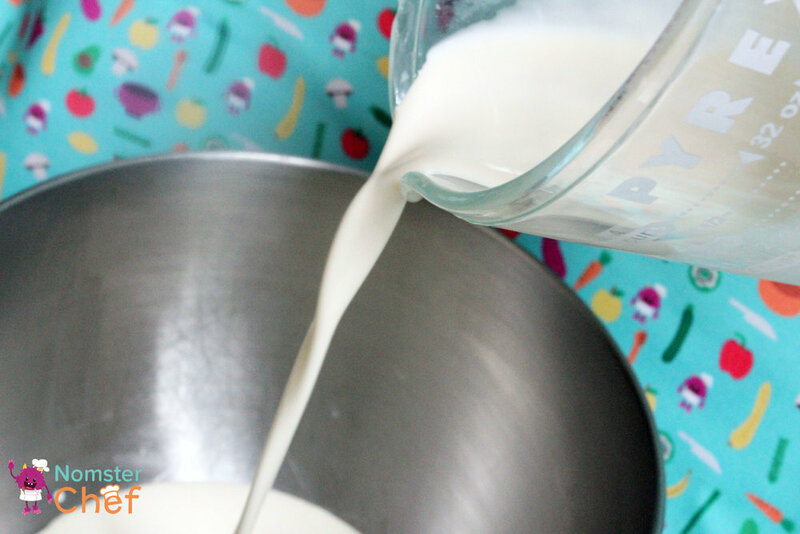 If whisking becomes too much for you or your kid chef, use an electric mixer to whip it up faster. You can decide how much honey goes into your whipped cream. Leave out honey unless you feel the cream could be sweeter. Don't give up! It takes a lot of fast whisking to complete this recipe. Don't fret if it takes longer than you think it will to get the right consistency. Good things take time! Preston Arment is a Content Marketing Intern for Nomster Chef. She is a rising Junior Television-Radio major with minors in Journalism and Integrated Marketing Communications at Ithaca College. She has previously interned with Radius Books and the Syracuse Chiefs.